Juice is made from fruit, so it must be good for you, right? The truth is that many juices are packed with sugar and empty calories that negatively impact your child's oral health. Here, our dentists explain what you need to know about juice. Parents often think they’re taking good care of their kids by giving them fruit juices, but these drinks can actually be loaded with sugar. In fact, a glass of apple juice can have the same amount of sugar as a glass of soda! 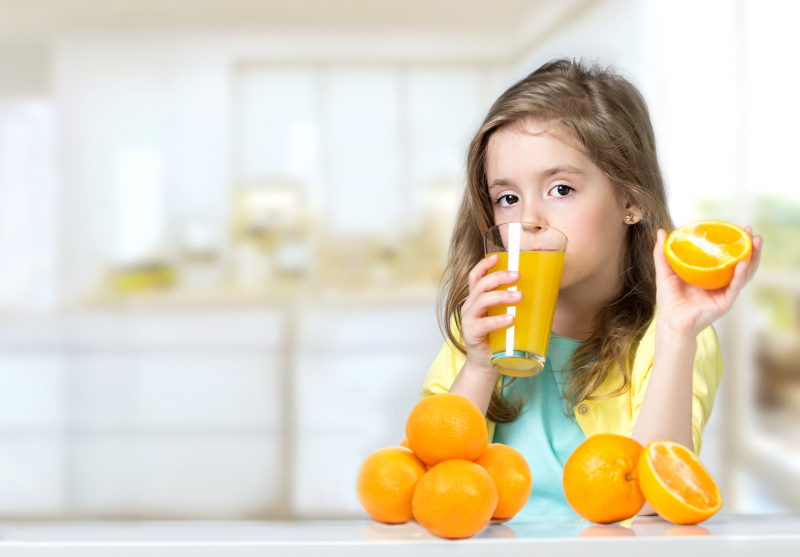 Young children who drink too much juice are often the ones who end up with tooth decay and cavities. So, how do you know which juices are healthy for your kids? Be sure to look at the main ingredients listed because not all juice is pure and many have little nutritional value. Watch out for mixed juice blends, juice cocktails or drinks and fruit punch. Choose juice that is 100% juice with no added sugar or other ingredients. Juices that are rich in vitamins include vegetable, grape and orange. What can I do to avoid my child getting cavities? Eliminating sugary beverages from your children’s diet is best for good oral health. Do not give young children more than 4-6 ounces of fruit juice per day. Try diluting the juice with water. Avoid putting juice in slow release containers, like sippy cups or bottles, where juice pools in the mouth. Be sure to brush their teeth (or wipe their gums if they don't have teeth yet) before bedtime. Never put babies to bed with milk or juice bottles. Introduce other options like milk, sparkling water or fruit smoothies. Give your child actual fruit when possible - it gives them added fibre and nutrients. Concerned about your child's oral health? Contact our North Delta children's dentists today to book a consultation.